Five Star Publishing, 9781432832988, 250pp. Nellie Burns, photographer, and her Labrador dog, Moonshine, travel with sheep rancher Gwynn Campbell and his Basque sheepherder to the Stanley Basin of central Idaho. Nellie plans to photograph scenes for a railroad's brochures to lure tourists to the West. When they arrive at the sheep camp, they discover the current herder is dead. Nellie's curiosity and photography lead her to a moonshine still and then a dash up a forested mountain. Nellie and Moonshine confront the greatest challenges yet to their courage and ingenuity when they face a range war and a ruthless killer. 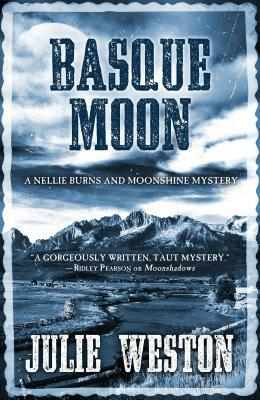 Basque Moon is an exciting and authentic story of western conflicts in the 1920s. Nellie must dig deep to restore her faith in herself and her chosen profession.